Dutch guitar player Jan Wouter Oostenrijk (JWO) (1965) completed his professional jazz guitar studies at the conservatory of Amsterdam (1994) and got the “Gouden Notenkraker” award for his contribution to the Dutch live music with Moroccan formation Raïland. In the past 20 years he became a succesfull international artist with his innovating crossovers Sharqi Blues, Maghreb Jazz. Technically gifted, original, with emotion and sense of adventure, navigating the crosscurrents between guitar-led jazz and Northafrican music. 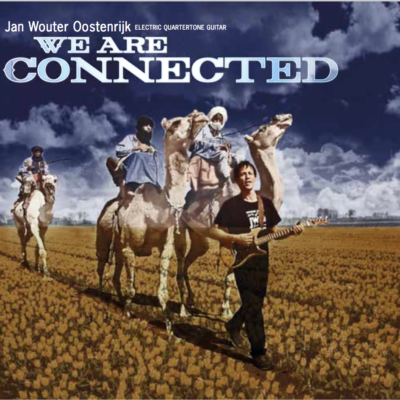 Between 2000 and 2010 Jan Wouter Oostenrijk (JWO) released 2 solo albums ,“the Rhythms of Rai “ and “Maghreb Jazz guitar“, both innovating crossovers between jazz and music from Northafrica. The Maghreb Jazz Guitar album got a radioindy “Golden Artist” award in the USA and their interpretation of famous jazz tune Caravan appeared on an EMI compilation, beside renomated artists as James Brown, George Duke and Natacha Atlas. Beside the albums JWO formed a live band that toured in Holland and performed at big international festivals in Morocco like Rabat, Casablanca and Marrakech. With his work JWO became one of founders of Maghreb Jazz, a worldwide source of inspiration for new music! In 2013 JWO released his album “Sharqi Blues” with Algerian Karim Ziad on drums (Joe Zawinul, Cheb Khaled) and had concerts in Egypt. In 2015 JWO realesed the CD single “Gnawa in Your Soul” with Moroccan singer Farid Ghannam (finalist of the Voice Arab) and toured with his band in Algeria and Tunesia. Late 2016 JWO expects to release a new album inspired on new material with his customized quarter tone quitar. JWO is running his own guitar school in Amsterdam gitaarschoolamsterdam.nl and is founder of gitaarschoolnederland.nl, a collective platform of Dutch guitar professionals that serves good music education.